In order to be observed: blood must transverse the inguinal canal and spermatic cord down to the subcutaneous scrotal tissue. It requires a closed (retroperitoneal haematoma) or sealed (surrounding retroperitoneal and aortic tissue) rupture; slow rate of leakage and a prolonged interval prior to final rupture. 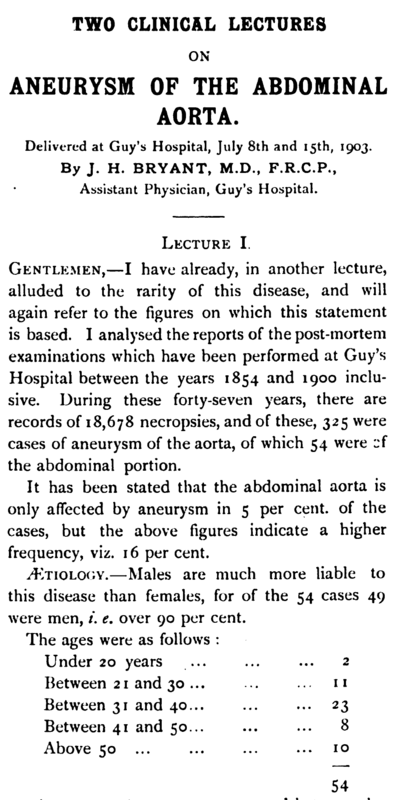 1903 – JH Bryant described scrotal ecchymosis associated with ruptured AAA during two lectures in which he had evaluated 18,678 necropsies and the 325 deaths secondary to abdominal aortic aneurysm rupture. [Clin Jour. 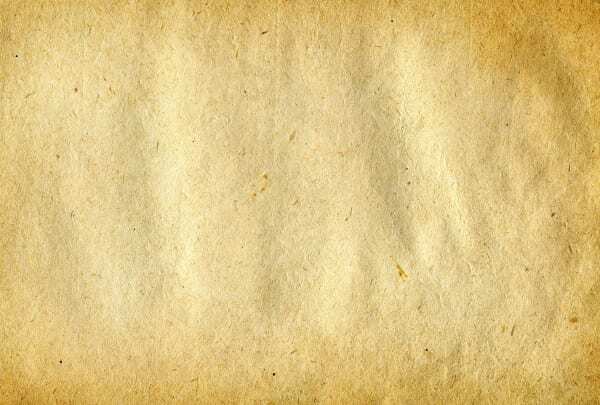 1903;23:71-80]. 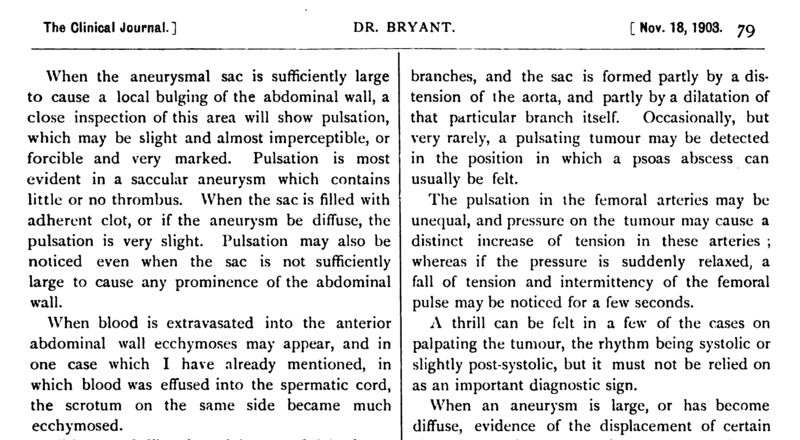 In these two articles Bryant correctly describes the diffuse nature of the atheromatous changes, the possible clinical presentation of AAA as apparent renal colic, and the scrotal and abdominal discolourations as diagnostic clues. Bryant JH. 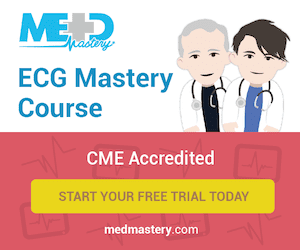 Two clinical lectures on aneurysm of the abdominal aorta: lecture 1. Clin Jour. 1903;23:71-80.